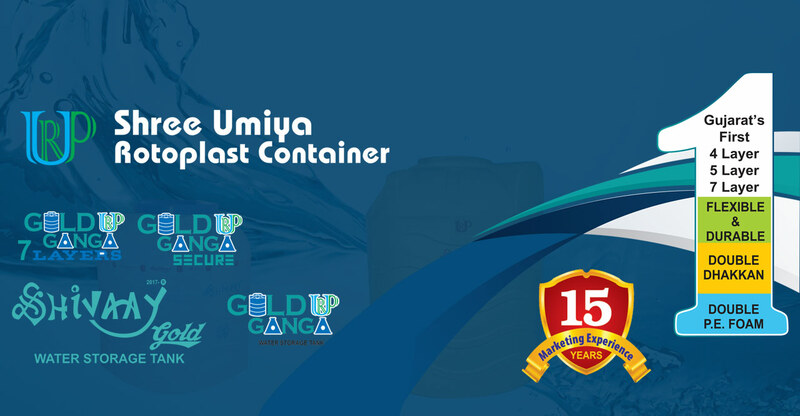 Located at Gujarat (India), Shree Umiya Rotoplast Container is an accomplished Manufacturer & Supplier of a number of plastic fabricated water storage tanks. With an empowering infrastructural base and proficient team members, we have efficiently served to our vast spread client base. Our product range includes Roto - Moulding Products, PVC Tank, Plastic Water Tanks, Plastic Tank, Plastic Storage Tank and others. We use quality based raw material in our manufacturing unit, which is installed with all latest tools and machinery. Our highly skilled team of professionals successfully manufactures bulk goods to sufficiently meet the market demands. Moreover, our wide distribution network enables us to manage scheduled delivery of goods.